The single wine glass is decorated with heart shaped cutting and has 3 Swarovski crystals bonded to the glass. 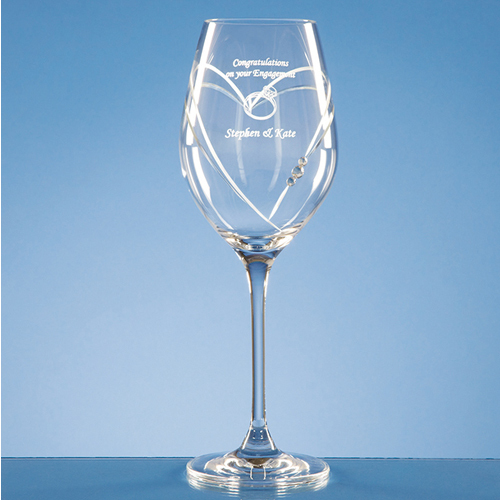 The glass has an engraving area where it can be personalised with any crest, logo or wording. It would look great as part of the table wear at any special occasions or presented as a wedding or engagement gift.